We're a small team with a dedication to top quality design and development with a creative approach. We work on complete web projects: planning, design, development, and launch. We've also taken on "design only" clients such as Scoop St. and DealCatch, to improve the face of their online presence. Feel free to get in touch if you have any questions or would simply like to pick our brains about your next project. 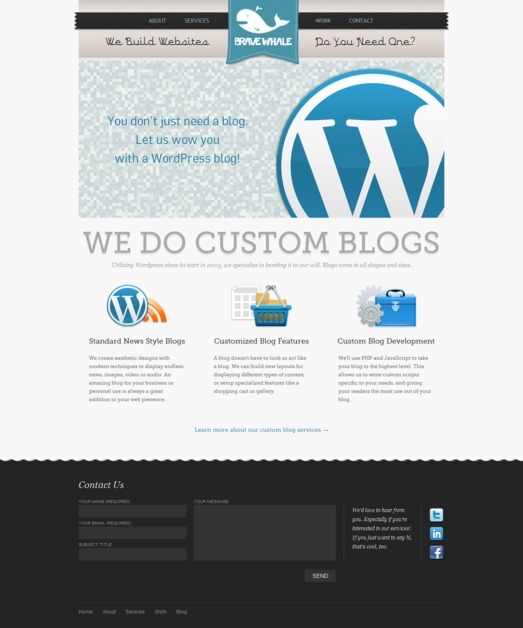 We are a web design team based in San Jose, CA with specializations in custom WordPress blogs and sites.